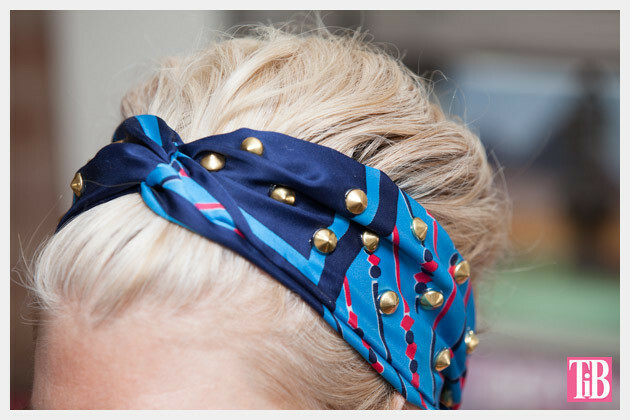 Lay your scarf out a on a flat surface and cut it into strips. 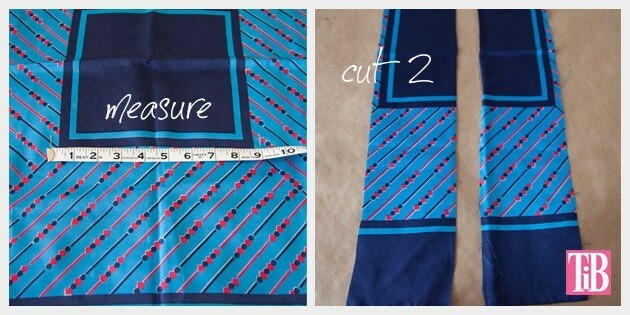 I made my strips 4.5 inches wide by the length of my scarf 28.5 inches. 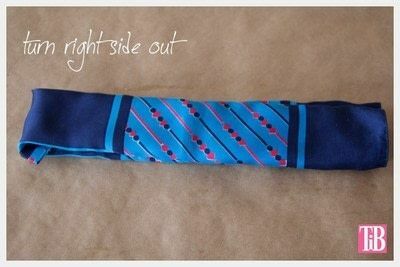 Fold your first in half with the right sides together. 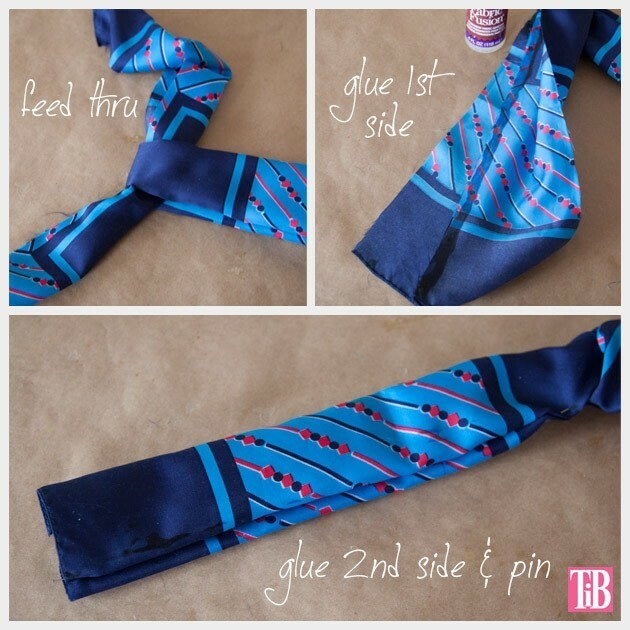 Using your fabric glue, glue the two long sides together, leaving about 2 inches open by the fold. When your glue is dry, turn your scarf strips right side out. 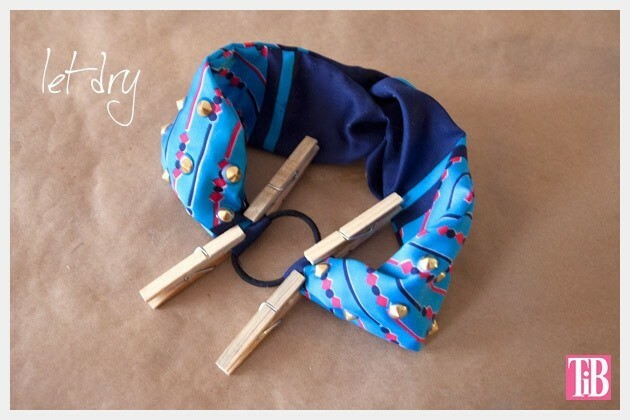 Take your scarf strip that you haven’t glued and run it through the hole (loop) in the top of the first scarf. 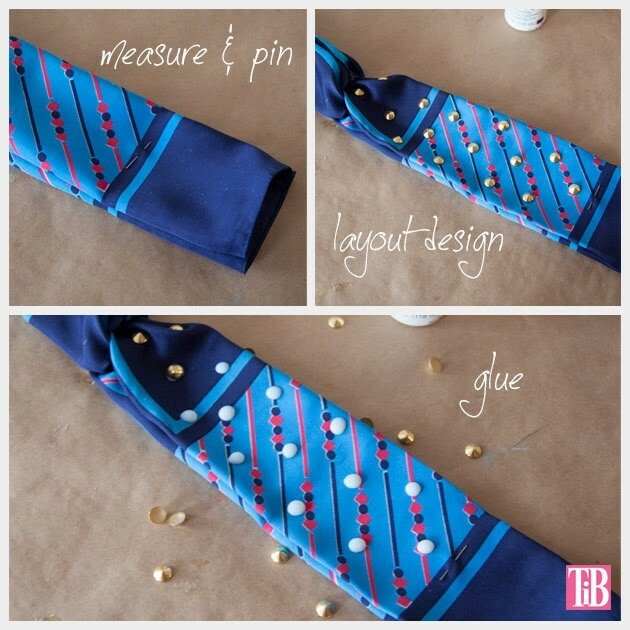 Smooth the edges of your second scarf strip together and glue. Let your glue fully dry. 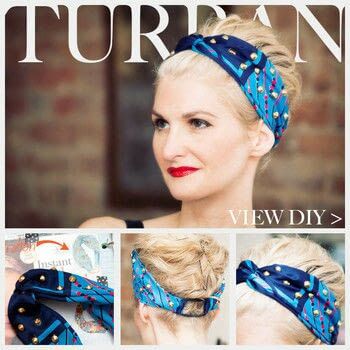 Smooth out the sides of your turban (you may want to iron it) and decide where you want to place your studs. Put a drop of glue where you want each of your studs to be. Make sure you don’t add too much glue, the shiny fabric of the scarf will really show any extra glue. Press your studs into your glue and let dry. 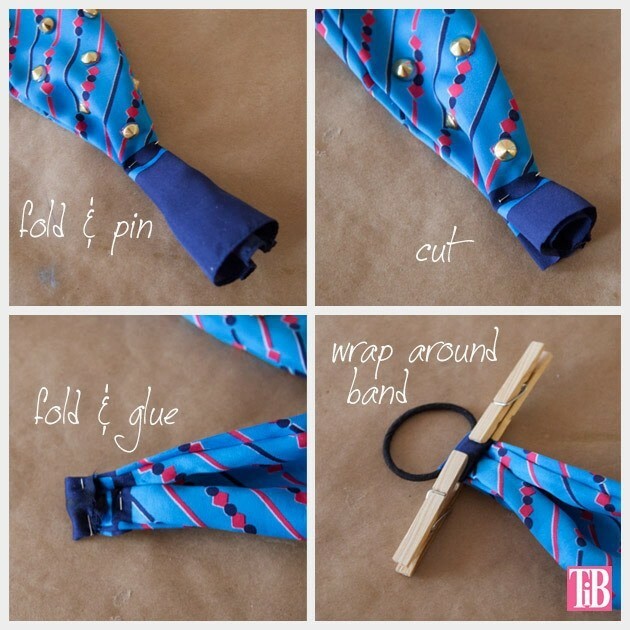 Fold the ends of each side into pleats and hold them with a pin. Trim off any excess fabric, leaving at least an inch to fold over. 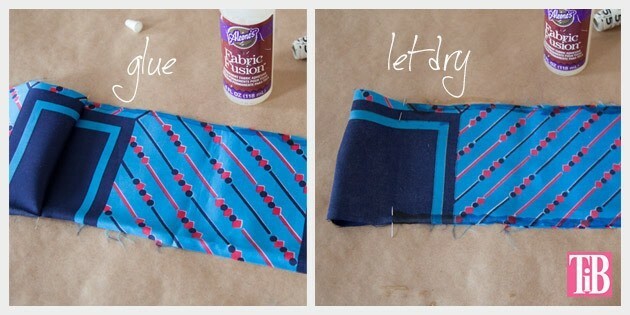 Fold a small hem and glue the hem and pleats. 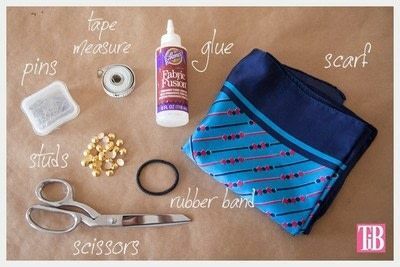 Wrap the fabric around one side of a rubber band and glue the fabric around the rubber band. Use your clothespins to hold it while the glue dries. 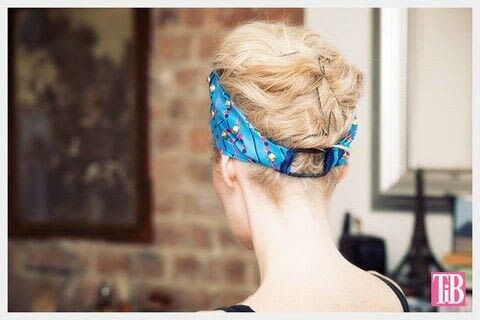 Do the same for both sides. Using your clothespins to hold your hems.